Our family lost a member Thursday morning: our first cat, Oliver. As a kitten nearly 16 years ago, he followed my wife home when she was walking our first dog QT-Pie and he moved in after some pushback from me. Turns out, Oliver and me hit it off and he became my best buddy, my "Big O" and always greeted me when I came home from work. Oliver and QT-Pie were the only males in our menagerie and they became best friends. 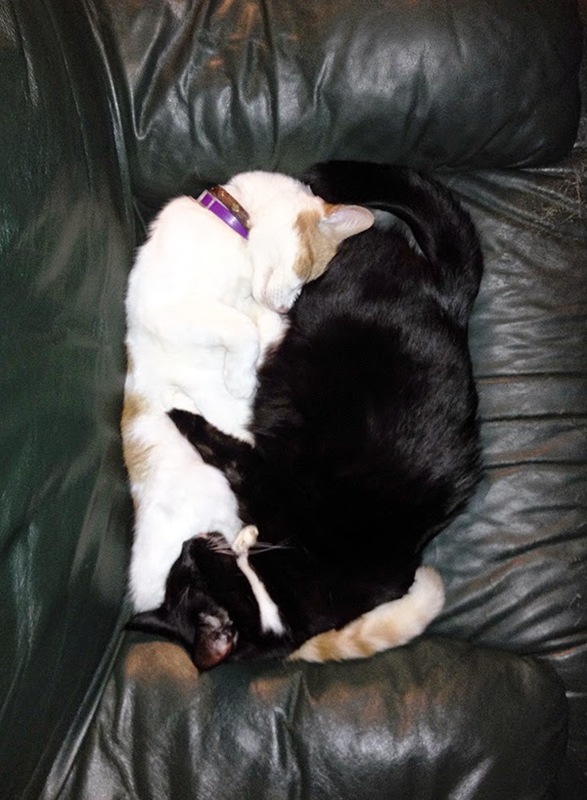 After QT-Pie died three years ago, one of our female cats, Shaq, seemed to replace QT-Pie in Oliver's life. The two cleaned each other and usually slept with each other. After Oliver died, Shaq seemed to be lost looking all around the house for her friend. Friday night, when I took our second dog, Pumpkin Pie, out for last call, Shaq got out. She seldom gets out, but must have thought her friend was outside, so she went looking for him. Shaq was out until nearly 3 AM. I think Shaq found Oliver because the next day, I found a dead mouse neatly placed right in the middle of Oliver's grave!